Schleich English Thoroughbred with Blanket 42360 - Toys & Learning - Schleich Specialists - 100% - Fast Service - Sale Prices. This model English Thoroughbred with Blanket is one of the top quality hand finished products from the Schleich range of horses & accessories. Beautiful detailed horse with accessories to match. 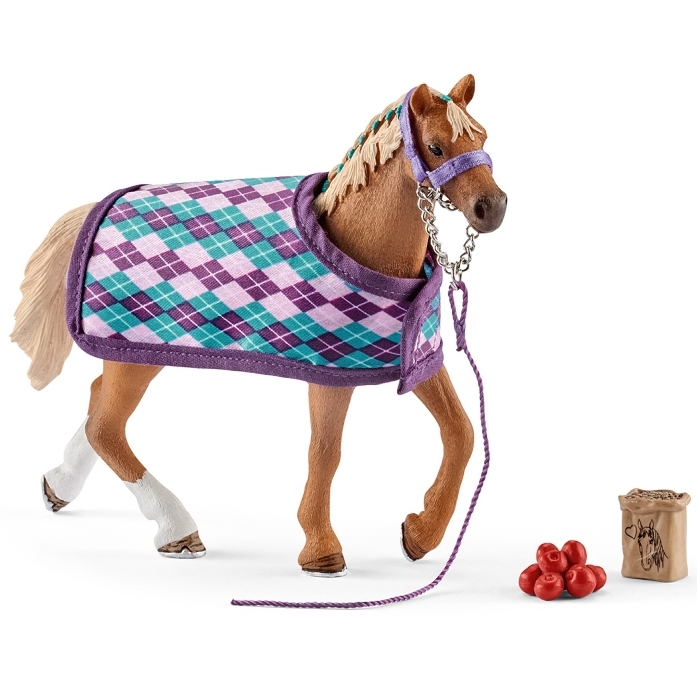 Comes with blanket, halter, apples and feed. Amazing detail! I bought this toy for my younger daughter. It was strong,beautifully made and realistic. My daughter really enjoyed playing with this;it is a great product.